I marshalled worden Park 10k last weekend and realised just how many faces I hadn’t seen before. Plus I noticed the blogs had died down (unless everyone is still reading Gareth’s London marathon blog!?) so maybe this will encourage others to write their own. So a bit of background. I used to run years ago. Was never particularly good at it, neither did I particularly enjoy it but I completed a couple of 5ks and kept myself semi fit. In 2009 after many months of severe sciatica, to the point where I could barely walk unaided, couldn’t sit, couldn’t lie down, was in constant agony and permanently dosed up on codeine, an MRI scan confirmed I had two herniated discs in my lower back. The bulging discs were pressing onto my sciatic nerve causing the pain in my legs. The treatments and physio didn’t work. I was told it was unlikely that I’d run again. I was booked in for a discectomy and decompression on my L4/L5 discs. The operation was a semi success and the pain subsided, although not completely. A few years later in 2012 when I had to have a repeat operation I was told I may never walk again, worst case scenario obviously but still scary stuff. Anyhoo that operation has so far been a success. I’ve been told that if it happens again I will need a spinal fusion. I have everything crossed that it will never come to that! In 2013 I had my beautiful little boy and struggled to shift the weight. Due to the limited movement caused by the operations I was unable to do much exercise.. or so I believed. Remembering what the doctor had said to me in 2009 and being the stubborn bugger I am I figured I’d just prove him wrong. So I bought myself some trainers and some Lycra and headed out the door. I set myself little goals, run 1k without stopping, then a mile, then 2k, etc. The biggest challenge I found was controlling my breathing. Years of being a heavy smoker didn’t help. It took a long time for me to build up to any significant distance as I was so paranoid about hurting my weak back. It was a good 4/5 months before I built up to a parkrun distance. I joined red rose in 2015 on a whim. I get quite anxious in large groups and especially with people I don’t know so the idea of being part of such a huge club both terrified and excited me. It still does, it takes a lot of effort for me to come on training runs. I’m generally the one panicking and hyperventilating in the corner, but once the run starts and afterwards I’m fine. I’ve met some gorgeous people through red rose and made the most amazing friends. The most significant one I should probably mention is if it wasn’t for joining red rose I wouldn’t have met my lovely fiancé. As a whole they are the most encouraging group of people I have ever met and I am proud to be a part of it. 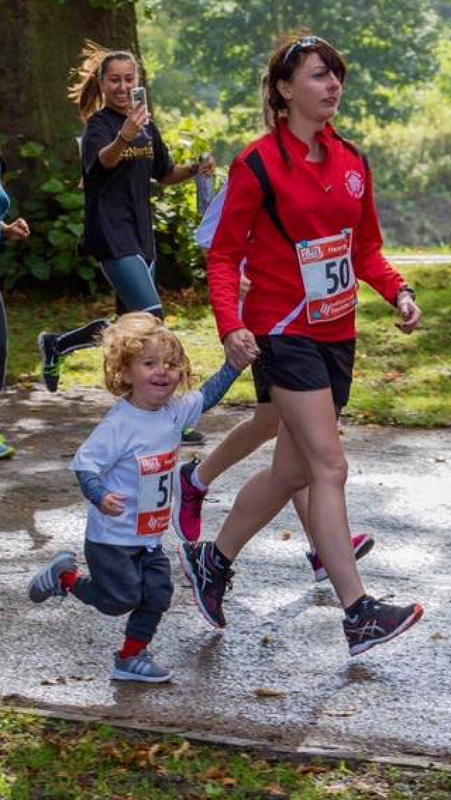 My little boy Eli is 4 and a junior member, he loves supporting at races and being a part of the weekly training and taking part in the fun runs. My daughter Ashleigh is 17 and way too cool to run but I’m hoping one day she’ll get sick of me going on about it and come along to see what all the fuss is about. I’m never going to be the fastest runner but that’s fine. I have to not be so hard on myself and remember I couldn’t walk not so long ago. My pbs will be staying as they are for the time being as I’m focusing on endurance rather than speed for the foreseeable. It’s hard to believe looking back that I have now completed 4 marathons, Chester, London, Windermere and Hell of a hill. 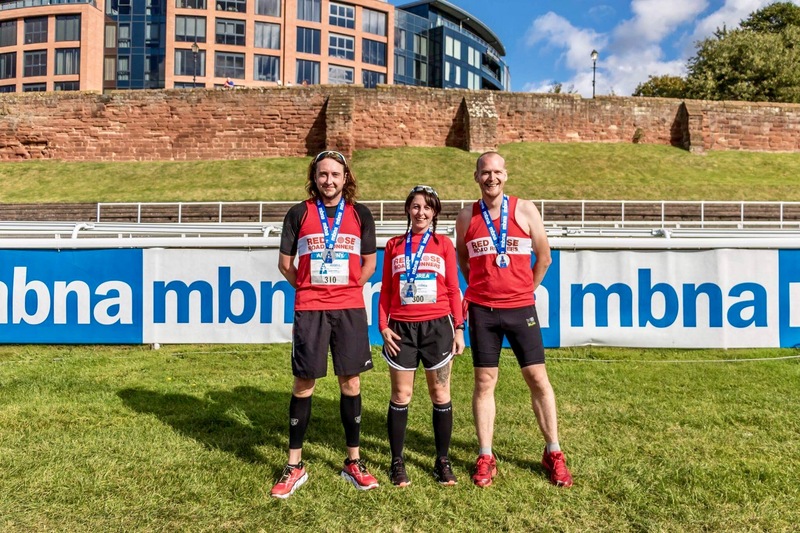 Im currently training for my next challenge which is a track marathon in August which will be closely followed by Great Langdale marathon, dubbed the UK’s toughest road marathon because, well, why not! 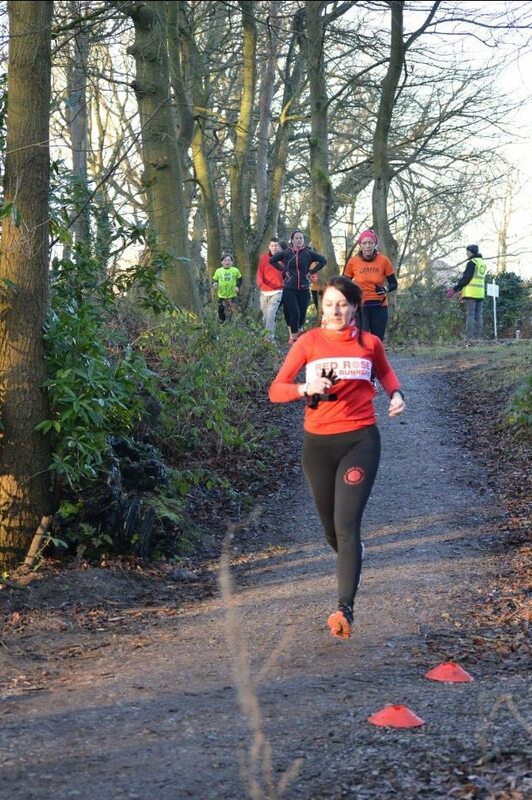 I fancy another bash at hell of a hill in November which I’ll be running with the gorgeous Katie. I just need to decide whether I’m brave/stupid enough to attempt back to back marathons on the Saturday and Sunday. Next year however will be a whole new ball game, the Lakeland 50 has my name on it. Gareth ran it last year and I went along to support. For those who don’t know, this is a 50 mile ultra marathon which I cannot wait to start training for! 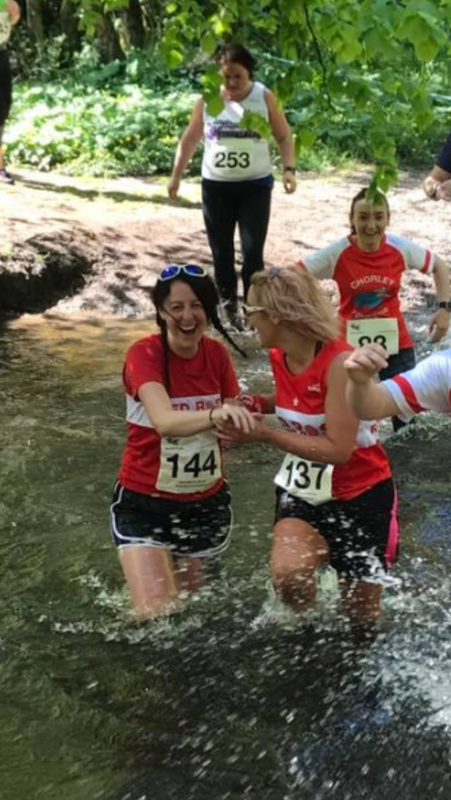 Recently I have helped a friend start her running journey. Completing a couch to 5k and a 5k to 10k progression. I really enjoyed working with and supporting her, something I’d like to look into doing more of. Maybe a ladies only programme, who knows.